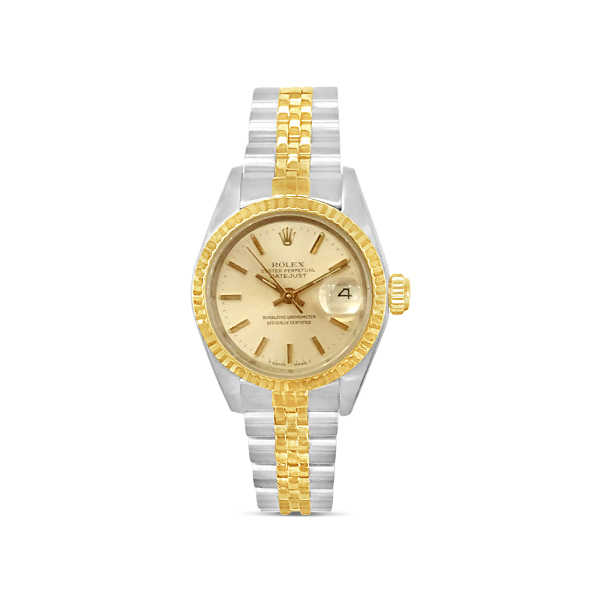 Stainless steel and 18kt yellow gold Rolex Datejust watch circa 1986, features a champagne dial and fluted bezel. Model: 69173. Serial number: 94114xx.